BVI – British Virgin Islands is a hidden gem in the Caribbean world famous for its unmatched natural surroundings. Experiencing the beauty and calmness of these islands along with close friends, family or someone special can become one of the finest experiences of life time. The British Virgin Islands are considered to be the world’s true sailing paradise. With turquoise shades of water, the coral atolls, the bright green mountains, the exceptionally consistent climate of the region and the white sandy stretches of beaches on the British Virgin Islands make them the ideal place for island vacations. Each island in the group has its own beauty and charm that attracts tourists from across the world. 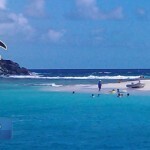 BVI has some of the most exciting and safe sailing spots in the world. The best way to explore the bunch of islands in the Caribbean is through sailing. 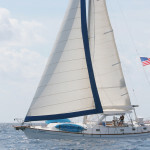 The BVI sailing charters is a service available on the British Virgin Islands to charter or hire yachts. BVI sailing charter is the best way to relax and it will be easy to do so knowing that Sopris Charters has over 20 years experience in the charter sailing industry. We are well versed in meeting every single need pertaining to sailing charters in order to make your journey to these unmatched Caribbean islands most memorable. BVI sailing charters are professionally managed and maintained by charter companies. The options available for sailing charters mainly include bareboat or a charter with full crew. Bareboat charter is best suited for a group wherein there one or two experienced sailors wherein you can captain the boat on your own. One can choose from among three different types of boats i.e. catamarans, mono hulls and motor boats. They are available to match different budget and requirements of the tourist. The other popular option available for sailing charters on BVI is the charter with full crew that offers real time luxury wherein you get to experience the service of a captain along with crew that mainly includes a connoisseur chef. The crew and captain are friendly and professionally trained, well versed in all the activities pertaining to sailing charters. They are there to pamper the guest while guiding them on different islands situated in the Caribbean. At times, it is usually thought that a full crew may end up as an expensive affair, but truly speaking it can be much less expensive than luxurious resorts and cruise lines. They can be the best option to explore the BVI at your own pace while following your own itinerary. 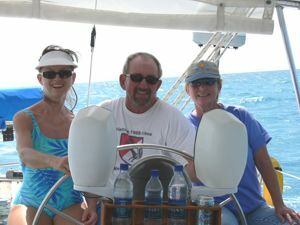 At Sopris Sailing Charters, we provide a full crew yacht. All the sailing charters made available on the British Virgin Islands are fully equipped with modern amenities. As they are professionally maintained by experienced team they are always found clean and safe. They offer trouble free charter experience on the British Virgin Islands. To make your experience more exciting one can choose from among different under water activities like snorkeling and scuba diving. Though the experience of vacationing on British Virgin Islands is exciting, a BVI Sailing Charter makes it more luxurious and memorable for you to cherish for the lifetime. For Reservations or Questions, Contact The Sopris Crew! Looking for an amazing and unforgettable Weekly or Overnight Caribbean Sailing Vacation / Holiday in the US Virgin Islands or British Virgin Islands (BVI)? You’ve just found where to get started!